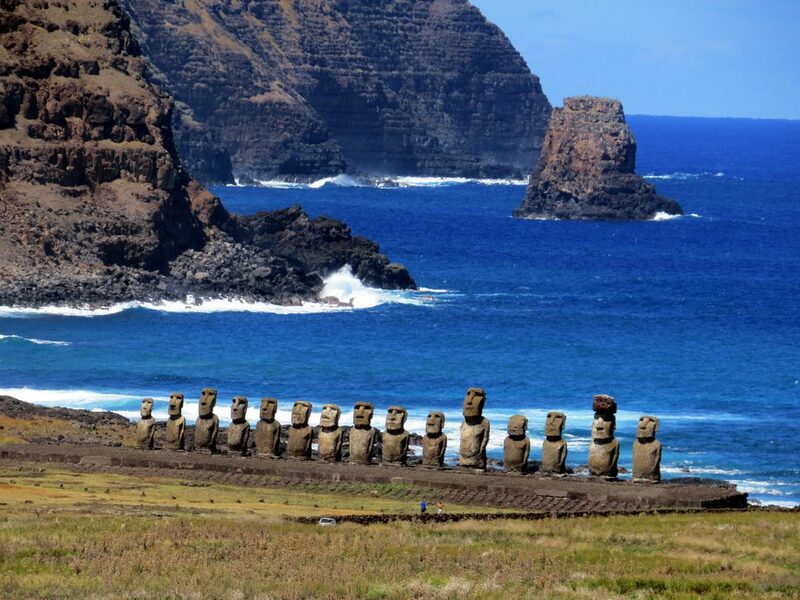 The Chilean Government has announced a few days ago that a huge ocean patch the size of Chile around Rapa Nui (the native name of Easter island) was now a Marine protected area. That means that all kinds of industrial exploitation of natural ressources in these waters are now forbidden. Industrial fishing or mining, for instance, are now banned. The residents of Easter island were the first to ask the Chilean government for a Marine protected area around their island in 2015. When the latter engaged the process, the firsts were naturally consulted during the process, and voted massively in favor of the project they had initiated, which authorizes the traditional small-scale fishing. And it was finally achieved, last week, when the official announcement was made by the Chilean President, at the end of the Fourth International Marine Protected Areas Congress. Now a patch of Ocean about the same size as Chile, with its 740,000 square kilometers, has become a sanctuary for endemics species, some of which are endangered. The area is so wide that it will also benefit to open ocean species like tuna and swordfish. Rapa Nui is now one of the most protected place in the Pacific, as the island, with its moais statues is also classified as a world heritage site. This is another huge victory in the battle for the preservation of natural life in our great Pacific Ocean, and we hope it will be an example to be quickly followed by other countries.